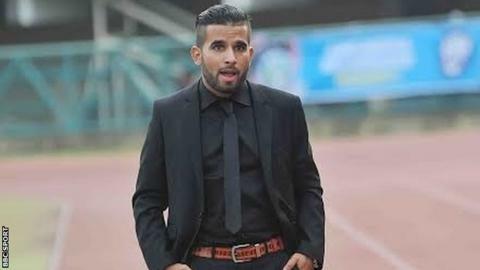 Akwa United FC recently appointed Rafael Everton Lira as the new coach of the team. The NPFL team recently finished second in the 2017/2018 session of the league which was cut short too soon because of football crisis in the country then. The Brazilian and former coach of FC Ifeanyiuba of Nnewi signed a year’s contract and has promised to help the team win trophies. The Club chairman and Senior Special Assistant to the state govt. on Sports, Mr Paul Bassey said Rafael fitted into the plans and vision of the club. He further made known that other coaches were also interviewed for the job but the club needed a coach who would not be distracted by national team duty. “We needed a foreign coach with a lot of Nigerian experience, we also eliminated as I said earlier some coaches in Nigeria for certain reasons before we settled for coach Everton,”. Coach Everton Lira is a Brazilian and once said he played for Fluminense and Sport Club do Recife. His career as a player was always distracted by consistent injury. After retiring as a player, Lira started his coaching courses and was once a classmate of Atletico Madrid coach, Diego Simeone. The tactician is the youngest manager to win Federation Cup At the age of 27 when he guided FC Ifaenyi Ubah to it in 2016.